Acne Scarring is the worst, but something I have to live with *crying emoji face*. It never usually bothered me before until I realised that the majority of my skincare issues come from the scarring - hyper-pigmentation, discolouration ect. This then effected my makeup as well as I had to buy things to cover it all up and layering makeup is my pet peeve. 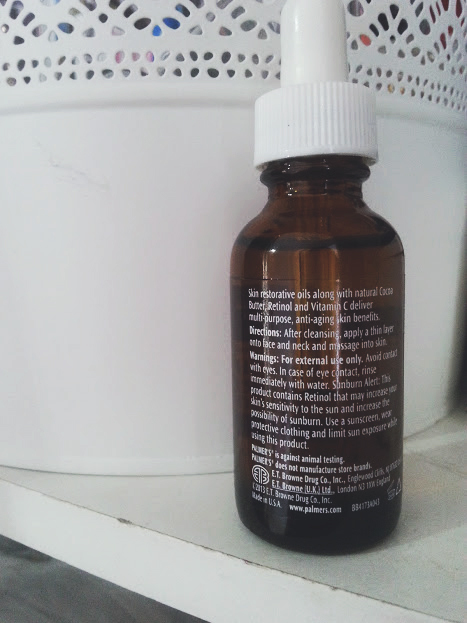 During a twitter chat (#bbloggers on Sunday/Wednesday at 8pm) I learnt that the best thing for my skin was actually 'Rosehip Oil' and so the hunt began. I looked online to find this from Pai, and this one from Trilogy. Both a bit too expensive for my liking, so the search continued until one day I went to Asda and found one for half the price and the same thing from Palmer's Coca Butter. I love Palmer's as a brand so this was perfect. After testing it for two weeks I have to share it with you all! Transform your skin with a powerful blend of 10 pure precious oils, Retinol, Vitamin C & our exclusive Cetesomate-E Complex. After cleaning my skin at night I take a few drops using the pipette and massage it in all over my face, focusing mainly on my forehead and cheeks. It is a oil so at first feels heavy and greasy but after about 10 minutes it sinks into your skin and feels very hydrating. 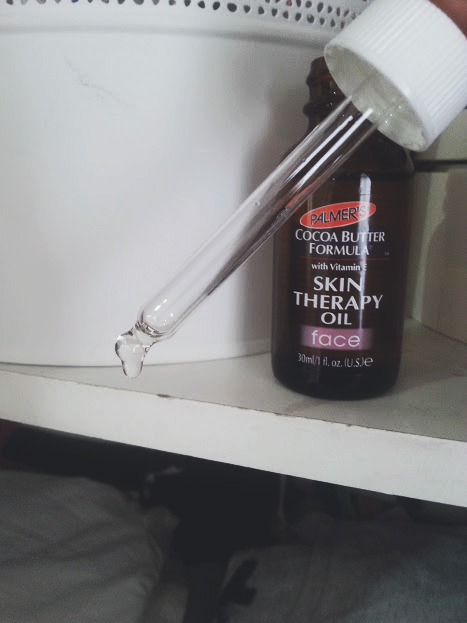 After using it for two weeks I have fallen in love with it and it is now a staple piece in my skincare routine. The majority of my scars have disappeared, which has in effect evened out my skin tone. 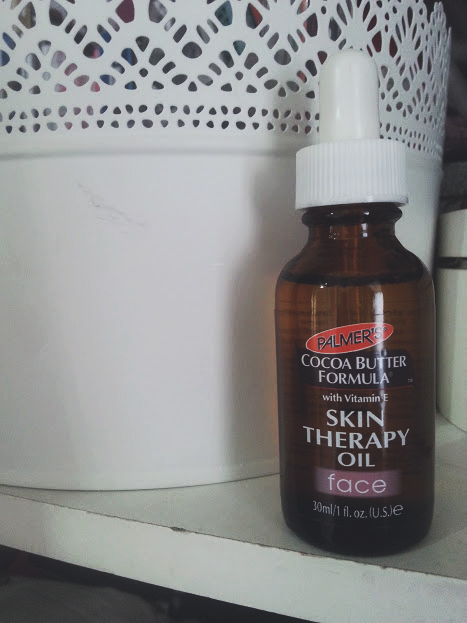 I am in shock that this has actually worked and my skin feels fresh and renewed. It also smells amazing! If you are a acne sufferer or have any sort of scarring, discolouration on your skin then you need to get yourself some of this 'miracle oil'!